We have good news and bad news. The good news is that flu season is finally over. But don’t put away the tissues just yet. The bad news is that allergy season is stepping up to the plate. While we can’t offer much to help with the allergens outside, we can give you tips on allergy-proofing your home. Grab those tissues and let’s get started. 2. Replace blinds and drapes with shades or washable curtains. 3. Keep pets out of your bedroom and give them regular baths. 4. Use a vacuum cleaner with a high-efficiency particulate air (HEPA) filter like these. 5. Remove clutter (books, magazines, knickknacks, toys) and sort them into sealed bins. 1. Don’t let your wet clothes sit in your washing machine for long—move them to the dryer or drying rack. 2. Use exhaust fans in your kitchen and bathrooms to remove moisture. 3. Regularly wash your shower curtains and bathroom tiles with mold-killing products. 4. Keep your home between 68° F and 72° F with humidity no higher than 50%. 5. Check your indoor plant’s soil and re-pot if it shows any signs of mold. 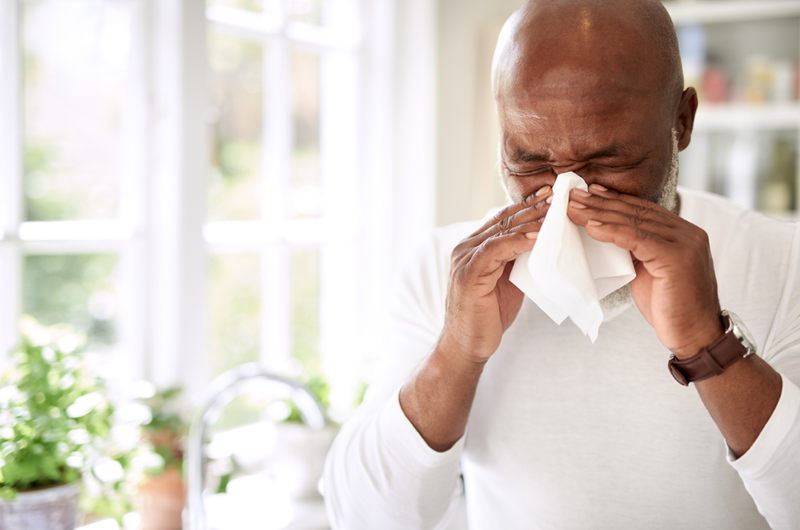 If your allergies persist after taking these steps, then give the experts at Heating Specialties a call at (866) 923-2653, or visit our website to learn more about how we can improve your indoor air.